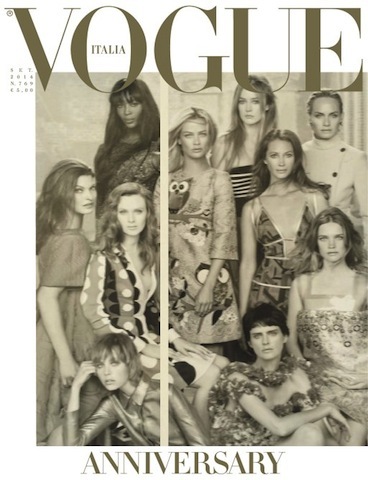 Cover Trends: Vogue Italia’s Model Issue is Epic! 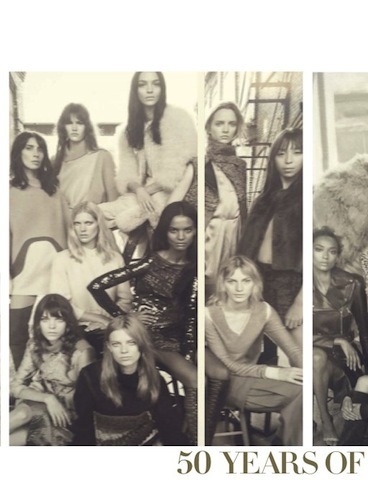 Naomi Campbell, Linda Evangelista and More! 2014 is shaping up to be the year where models rule supreme. Seems like Vogue Magazine is going back to its roots by tapping into its resources by showcasing the reason why the fashion industry is such a thriving institution. Both Vogue US and Vogue Japan featured a bevy of beauties that make a living striking poses in a way that can’t be replicated by mere humans. 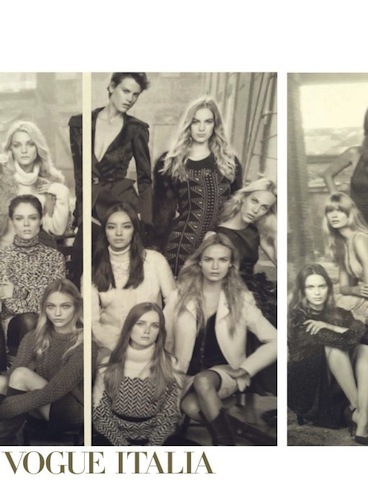 And now Vogue Italia is continuing the trend by placing 50 models (Yes 50!) on their September 2014 cover. It is quite a parade! But it is also a journey down memory lane, as we recall the glory of the Supermodel era. Naomi Campbell and Linda Evangelista always echo levels of nostalgia, and thankfully we are given another opportunity to celebrate them. They are joined in full force by Victoria Secret staples, Adrianna Lima and Candice Swanpoel. Others who also made the cut include Liya Kebede, Coco Rocha, Jessica Stam, Jourdann Dunn, Miranda Kerr, Karlie Kloss, and Joan Smalls. It was a crowded affair, but like they say – The more the merrier!